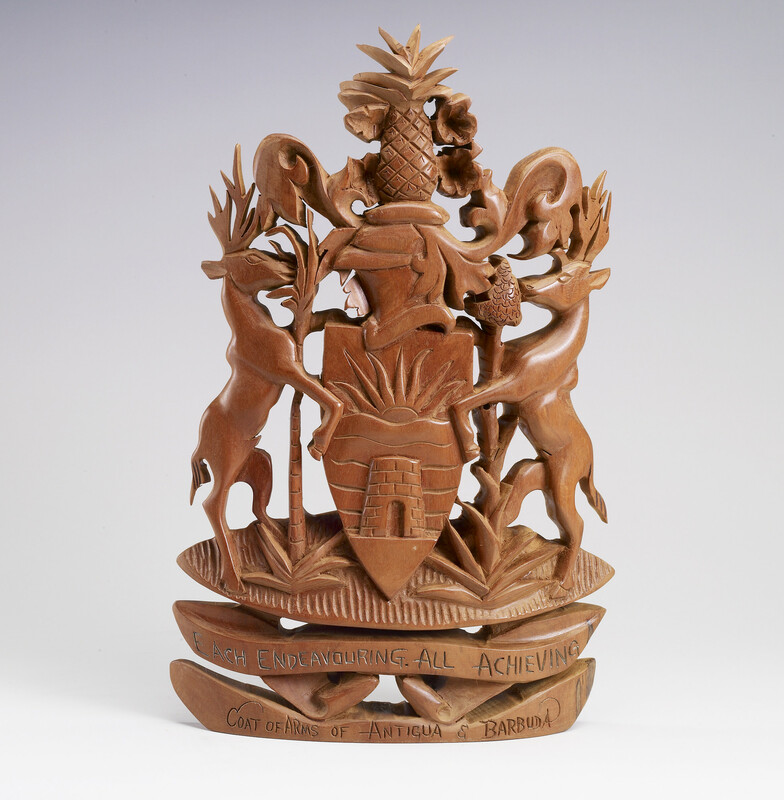 Carved wood coat of arms of Antigua and Barbuda. On the helm is an Antiguan black pineapple, the shield shows the sun and wavy white and blue bands symbolising the sun, sea and beaches; the left supporter holds a stem of sugar cane to represent what was once the islands' main industry. The scroll at the bottom is the national motto 'Each Endeavouring, All Achieving'.